Follow your bliss. Easy. No? How many forgotten paths I wonder already lay scattered around in the wasteland of our pasts? Laying discarded and slowly turning back to dust. Were any of them my true bliss? Did I let go too soon? How did I live so long, and not realize I was not following what made me happy? Such questions only lead deeper in to the labyrinth, dead ends and frustration. So I retrace my steps and start again. Follow your bliss. Confused? Good. One year ago I never imagined that I would come across this bliss or that bliss, and was confused by the very idea of it all too, about to quit my job and set off traveling around Europe, and eventually start a doctorate somewhere in the deepest corners of a foreign land. Now, well, now I am sitting on the edge of a deep dark moor in England and writing a book. How did that happen? And what has it got to do with bliss? The how is easier. My applications got rejected for study, and so I had to think hard about what to do next, forcing me to stop and look around, physically and metaphorically. 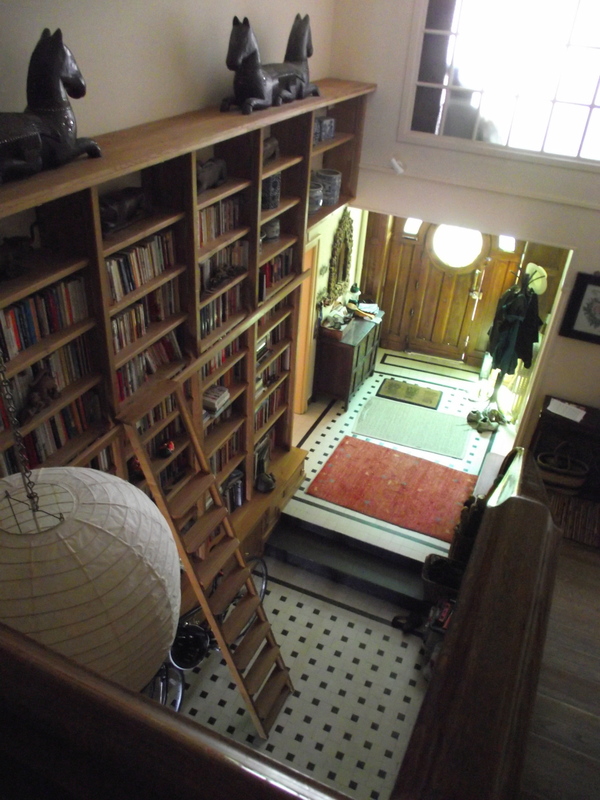 At the time, I happened to be house sitting in Rochechouart, a lovely village in the centre of France, and in this house is the most fantastical bookcase, and there, on the highest shelf naturally, reached only via a ladder doubled in size by my fear of heights, was a book that caught my eye. The Power of Myth by Joseph Campbell. 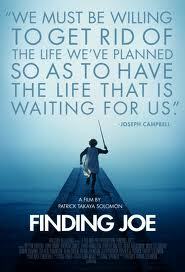 Joseph is the main man of bliss, and he can tell you how to follow yours far better than I. What he also explains is how when you are following your bliss, however hard it is, and however much it drives you to dispair, what with the dragons and everything, there will be signs to guide you along the way. And the thing is, once you set out, you start seeing them everywhere along the way. This is where my own journey started, perched precariously on top of a ladder. Had I not always dreamed of having the time to write a book? Had not my father send to me a book, found amongst my recently deceased grandfathers belongings, a few weeks before I set out, detailing my family history? And, had I not, for some reason unclear to me at the time, brought this book along with me? The signs believe it or not, kept coming. It may of course be that they are always there, and I would not argue with the sceptic eye. The point is, that you start to see them, and that changes everything. Without giving too much of the actual plot away, here are some simple examples. 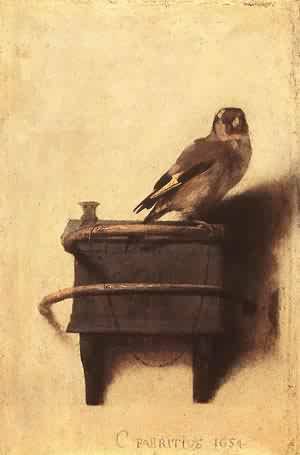 Take the goldfinch, a central character to the story in my book. I had never thought much about them before, and could not honestly tell you whether I had ever seen one, or not, before the last year. Now, they are everywhere. I see them in paintings and I see them in my garden, shyly picking at thistle heads beside the brambles, and yet it is something more than that. They suddenly crowd in, and it is not just me. Only last week I noticed them on the BBC, in a report on how a new survey by the British Trust for Ornithology (BTO) shows a record number of goldfinches visited the gardens of the UK and Ireland in 2011. Absent minded, I started browsing through it, as my own book has a taste of English folklore running through its streams. Flicking the pages over under my finger a map caught my eye and I rested there a moment, and had a read. 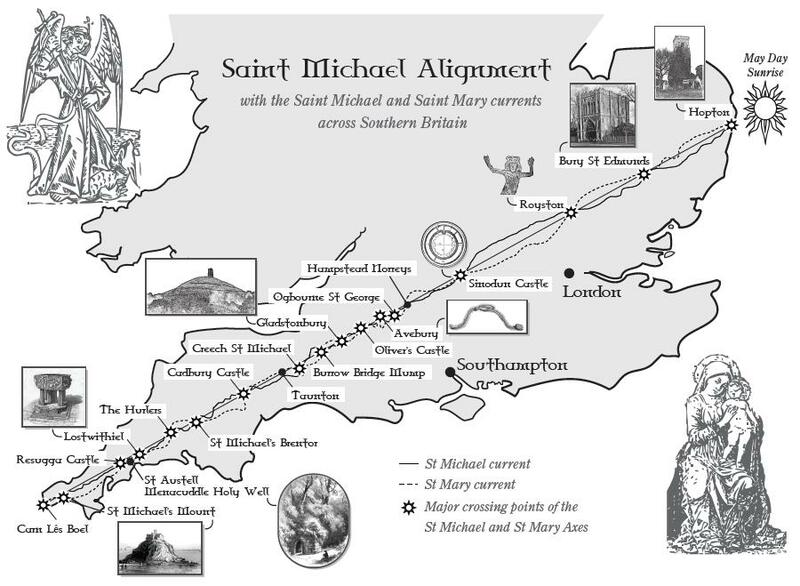 The reason the page caught my eye is that it appeared to detail a pathway running in the general region of where we live, the reputed St Michael’s Way, an ancient pilgrimage route, alignment, and supposed ley line. The map showed the whole of the path, and so was not specific about our own house, or even our village or local town for that matter, but something piqued my interested and I devolved deeper, discovering eventually, several months later, that, well, that the St Michael Alignment runs right through our house. Not close by, not half a mile away, but through our house. Which might explain the line of standing stones in the garden. This, in itself, would be interesting, as not many people can claim to live directly on an ancient route between St Michael’s mount in Cornwall and sites such as Glastonbury and Avebury, before running across the land to Bury St. Edmunds in the East. However, what makes it very interesting, is that towards the eastern end of the line it passes through my home town, Luton, and specifically the village where my family history is found and my book is based. Which you have to agree is really kind of cool. Does this mean I am following my own bliss? That I shall be successful in my chosen field? Who knows. What I do know is that these morsels of hope, and the others, such as writing an article for a local newspaper about the true story in 1860 on which the novel is based, only to and be contacted by a direct descendant of one of the protagonists, keep you going. They enrich your life in unexpected ways, feeding you, until all of sudden you see how, well, how everything joins itself up in some way, and like I said, it might not even be about the book, and if it is, you will just have to wait to read it to find that one out. What I do know is this. I feed the birds every day now. I respect the fact that my house sits where it does in this ancient landscape, and I also look to the spiritual sides of life with an open eye. And, if I am honest, I do not really know what it all means. Which is what makes it fun, as loosing all your certainties an rediscovering that sense of innocence, where the whole world is waiting for you to find it, is kind of what the message is all about. So, keep your peepers peeled. The last words belongs to Joseph Campbell himself. ‘ If you follow your bliss, you put yourself on a kind of track that has been there all the while, waiting for you, and the life that you ought to be living is the one you are living. Wherever you are, if you are following your bliss, you are enjoying refreshment, that life within you, all the time.